By Dennison Mfg. Co. Cadmium plated split pin with card label attached 'To be removed after bomb has been placed in dropping gear and arming wire inserted. 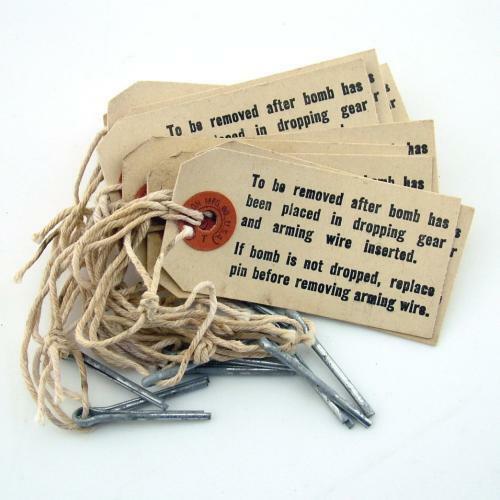 If bomb is not dropped, replace pin before removing arming wire.' Some storage wear but in very good condition. These made popular souvenirs amongst aircrews during WW2. We have ten available, all priced individually. The price is for one pin. Stock code M21417.